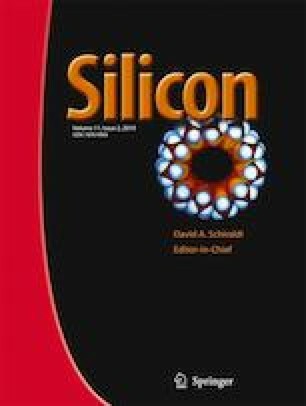 In this paper, the results on the conductivity of silicon enriched SiOx films and the influence of low temperature annealing at 450 °C in the H2 and vacuum are presented. SiOx films were prepared on Si substrate by low pressure chemical vapor deposition (LP CVD) with using SiH4, N2O as the precursor gases and H2 as a carrier gas. The measurements of current-voltage characteristics were carried out in the wide temperature range 95-334 K. It was revealed that the influence of atmosphere of the low temperature annealing is significant. In general case it was established that after the annealing of the initial film in the hydrogen the conductivity increases and after annealing in the vacuum decreases. Characteristic feature of all films (without and with annealing) is the conductivity according to the Mott’s law at low voltages (U < 1 V) in temperature range 295 < T < 345 K. The calculated densities of electron states (traps) in bandgap near the Fermi level from slope of curves in Mott’s coordinate are equal to N = 2.12 × 1017 eV−1 × cm−3 (initial film), N = 4.14 × 1019 eV−1 × cm−3, (H2), N = 6.62 × 1016 eV−1 × cm−3 (vacuum). At higher voltages and lower temperature another transport mechanisms have been revealed. Among them are space-charge limited current (SCLC), Poole-Frenkel mechanism and Fowler-Nordheim tunneling.